There were times when kids and youth used to share games in pen drives and discuss about them the entire day. But now, this need is fulfilled by our own Microsoft Store. Be it then or now, gaming has always been fun for all. 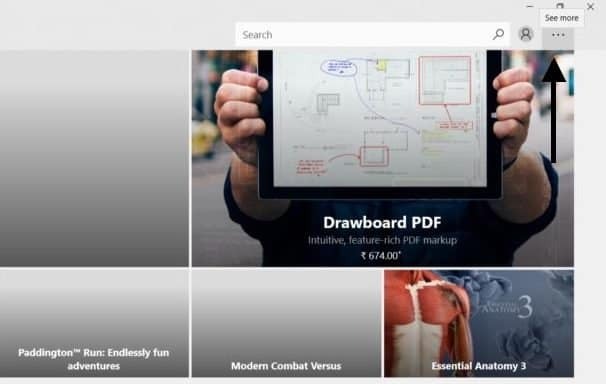 The Microsoft store is filled with a variety of Windows 10 games, but to play them in a plane or train in an offline mode, you need to know about its complete settings. There are a couple of games like Minecraft, Forza 7, Quantum Break that requires an internet connection to confirm whether you own the particular game or not. But riding in planes and trains become boring and we need something to entertain ourselves and that time we think it would be great if we can play Windows 10 games in offline mode. There is this feature of Microsoft Store. It has a toggle button for playing Windows 10 games without internet access after you download the Windows 10 Creators Update. But while flipping the toggle, you need to ensure that the PC is connected to the internet. 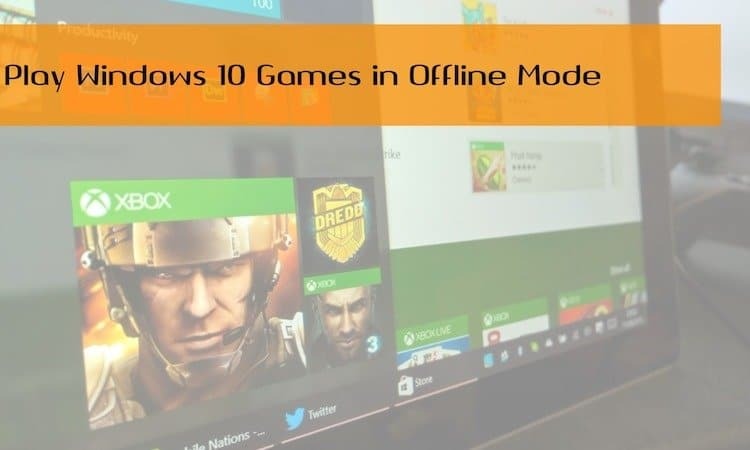 These are the steps which help us to play Windows 10 games in offline mode. 1. Sign in to the Windows PC using the Microsoft account username and password which you have set while purchasing the games. Avoid making a new account or signing to someone else’s account. 2. At the bottom left corner of the screen, there is a START button. Tap that. Open the Microsoft Store and tap the three dots on the right hand side of the screen. 3. A drop down menu will fall down. Select the Settings option. 4. As you click on Settings, a new screen will open up containing various options. Toggle the Offline Permissions button as ON. 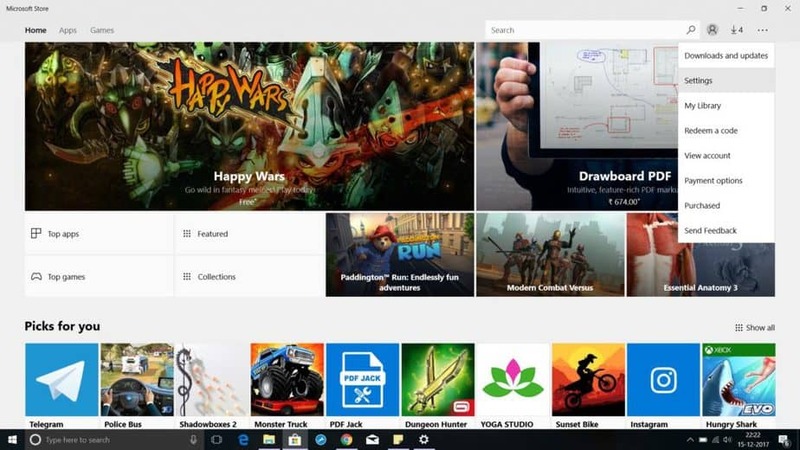 Now you will be able to play Windows 10 games in offline mode. Once you have followed these steps, sign into Xbox Live to sync your latest saved game before you play offline. But few multiplayer games do not work offline, only their story modes work. The prerequisite for this feature is that all the Windows games have their latest updates already installed so that they run smoothly offline. I guess this feature that allows users to play Windows 10 in offline mode is highly useful as through this our journey no longer stay boring. 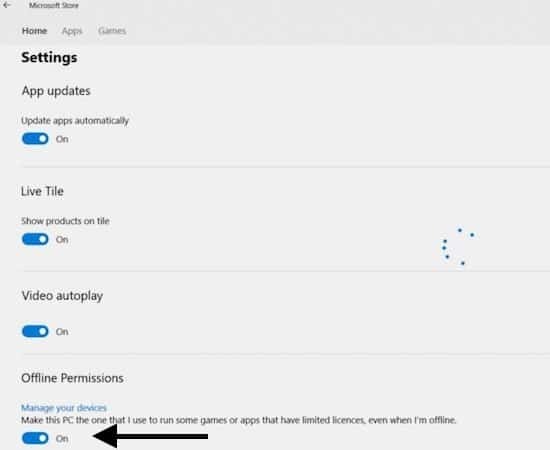 For any doubts on how to play Windows 10 games in offline mode, do ask in the comments below.